847.433.3460 847.433.4062 fax Get Directions This location is wheelchair accessible. Dr. Kauffman is an outstanding physician. Knowledgeable and helpful. I feel my health is in great hands under his care. I feel fortunate to have Dr Kaufman as my internist. He clearly is interested in my maintaining good health. Love Dr. KAUFMAN. Been going to him for many years. Excellent doctor! Easy to talk to, great sense of humor and I trust him completely. I try to use NorthShore Connects to ask questions if I have them. Dr. Kaufman is quick to respond, and as he's gotten to know me over the last few years, I think we have a good doctor-patient relationship. Dr. Gary Kaufman is the best! Very comforting, highly intelligent and knowledgeable. 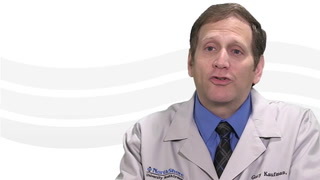 *Dr. Kaufman always goes above and beyond to provide excellent care. He listens well, and I always have confidence in the care I'm receiving. Gary Kaufman is an excellent PCP. His diagnostic skills are excellent, and he is very thorough, detailed, & comprehensive in his approach to internal medicine. He would rather err by being too thorough than risking not securing critical data, e.g., Labs, X-rays, referralsto specialists, etc.